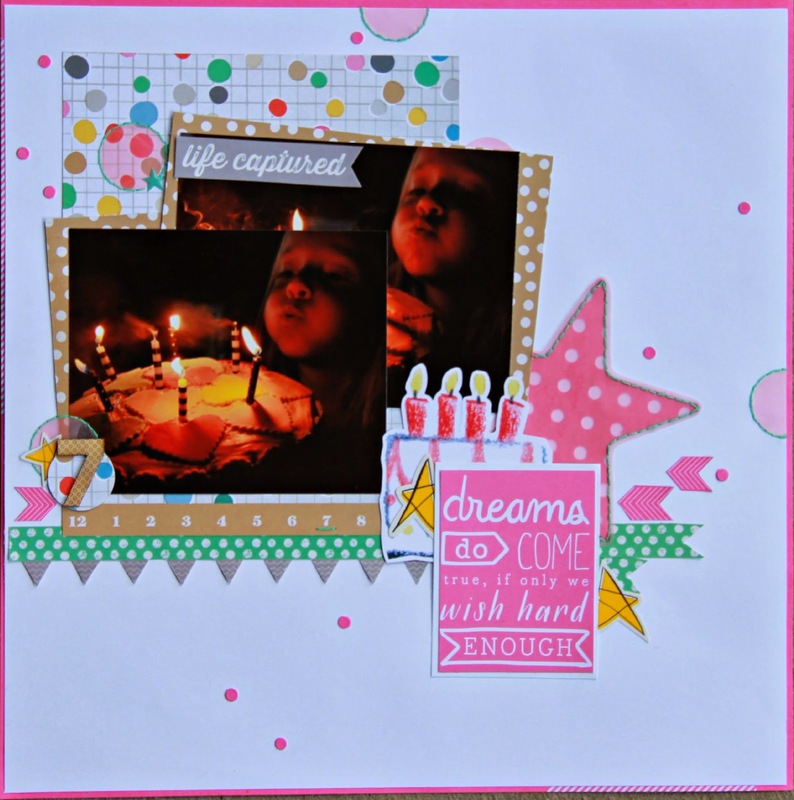 So, not to be terribly confusing, as I just completed a page of Little L's 8th birthday, I am posting this more recent layout of her 7th birthday; the joys of playing Scrapbooking catch up. I love this photo and how it captured at the perfect time. great pics and love how you layered them!!! love the added hand stitching too!!! This is gorgeous!! I love love love the colors and the stars!!! !